Writing down a crooked road. 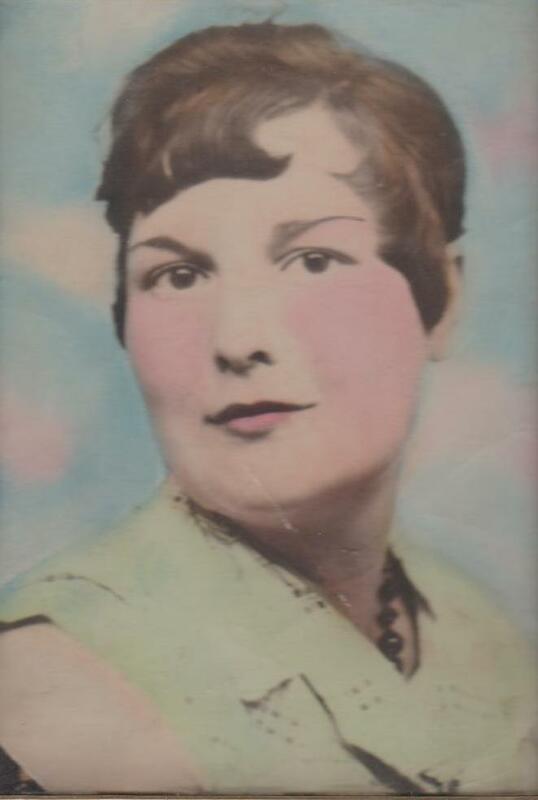 As a teenager, my grandmother trained as an opera singer. Then she married a cowboy, and instead of traveling between the great theaters of Europe, she spend most of her life wandering between ranches along the Colorado River with a pack of half-feral kids in tow. My mom calls her the original hippie. A real bohemian at heart, Grandma Verna lived the phrase, “Not all who wander are lost;” she was as familiar with its roots in Middle Earth as its tie-dyed expression on the California coast. Although her physical travels were more restricted than those of the Nine Walkers, in her mind she traveled from Catherine the Great’s Russia to Pern. She treated every day as an adventure (which, considering her financial circumstances, it often was) and sucked the marrow out of lunch at Mickey D’s with the same relish as dinner at the finest linen-clad table. When I knew her, she was an off-brand Avon lady, already too old to travel, but she wore her thrift shop dresses and costume jewelry with an elegance that belied their provenance. When she died in 1998, mourning somehow seemed inappropriate. Opting out of funerals and family drama, my mom and I took a trip together with her memory. Our first day in London we went to a hundred year-old theater in the West End for a matinee performance of La Bohéme. It was my first opera. It was the first time art made me cry. 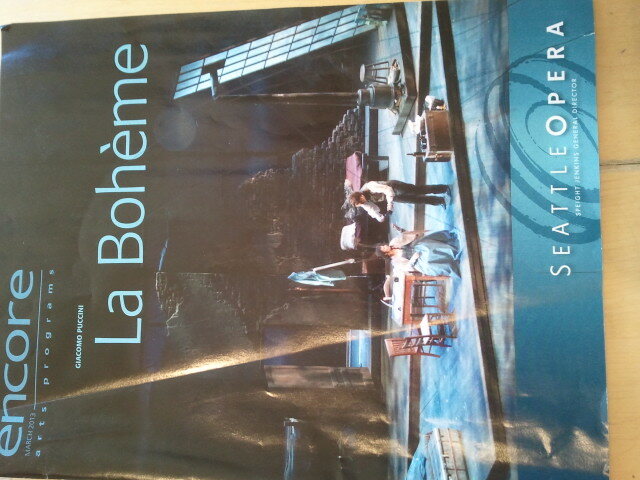 I was thrilled at the chance to see La Bohéme again as part of Seattle Opera’s 2012/13 season, but I was also a little nervous. Could any performance live up to my sepia-toned memories? Well, Seattle Opera’s production exceeded them. I had forgotten how humorous it is – the artists’ critical review of Rodolfo’s play as they burn the pages was laugh out loud funny. I don’t know what kind of life Puccini lived, but it’s very easy to imagine him drawing on memories of his own youth in his creation of these starving artists who seem so naturalistic even today. Although I guess the librettist is responsible for that part. The term “soprano” is so broad it is about as descriptive as the heavy metal critic’s “female vocals.” To me, the perfect soprano sounds like the voice in the soundtrack to the movie Room with a View. Elizabeth Caballero’s Mimi had that combination of weightlessness and honeyed sweetness that manages to feel sensual and angelic at the same time. Incidentally, she posted entertaining Tweets before and during the show. Fortunately, the older me also knows that the medicine available at the time wouldn’t have worked anyway, so I was free to embrace the tragedy of Mimi’s death. Artist Mimi – listen to her talk about the flowers she embroiders – she only missed the Arts and Crafts movement by a few years, but no one recognizes her artistic nature in the story. Tragic Mimi, defined and rejected by who she dated. Her poverty denied her not only a life of art, but in the absence of medical care (think about that America) denied life at all. Mimi, who died alone surrounded by her friends. Operatic death scenes have triggered my giggles before. But fifteen years did nothing to change the impact of Mimi’s death. Her friends, for all that they have tried to help, and for all their artists’ sensitivity, are too focused on themselves to notice the moment when she dies. Rodolfo, having finally brushed away the pride and jealousy that kept them apart, steps away from her bed and looks out the window to hide his tears. Mimi dies alone, like my grandmother in a state hospital in the same city where half of her family lived. 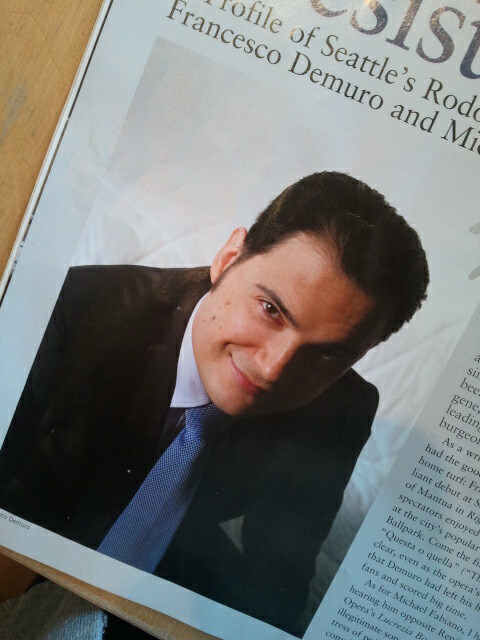 Rodolfo is the last to know. When he turned back from the window to see everyone staring at him, I cried. In 1998 tears ran quietly down my face as the curtain fell. In 2013, I tried to suppress audible sobs as my shoulders shook and my nose ran. I never heard my grandma sing, and I don’t know if she was ever good enough to be part of a production like Seattle Opera’s La Bohéme. But she was an excellent Mimi. I wrote this post a few days before rebuilding my computer. Somehow, it didn’t get backed up or uploaded to the blog, and I had to rewrite it from memory. Naturally, I’m convinced the first version was better.